ST. GEORGE — A traffic stop that triggered a pursuit on Interstate 15 ended in Beaver County with two arrests after troopers discovered narcotics locked inside a safe in the trunk of the car. Shortly at 11:45 p.m., a UHP trooper pulled over a passenger car heading north on I-15 near mile post 62 after observing the vehicle following too close behind another car and failing to signal before changing lanes, Utah Highway Patrol Lt. Todd Royce said in a statement Friday. The driver was later identified as 26-year-old Jose A. Chavez of Bakersfield, California, along with his passenger, 26-year-old Yessenia Mendoza of Shafter, California. 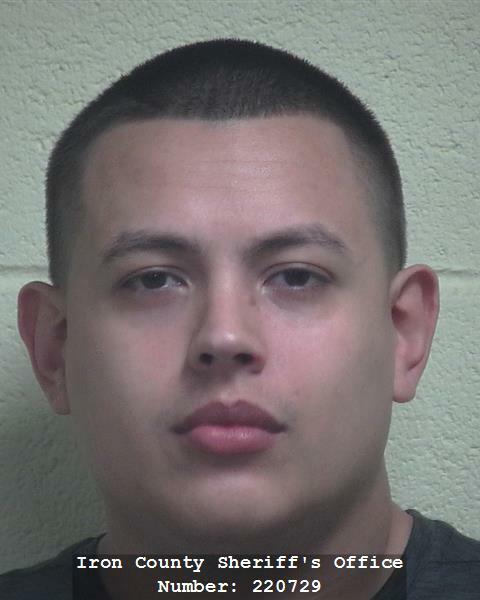 While speaking with Chavez, the trooper became suspicious that one or both of the car’s occupants were possibly involved in criminal activity and called in a K-9 unit to assist. The K-9 gave a positive alert to the officer indicating the presence of narcotics. “The driver was not very cooperative throughout the stop and remained in the vehicle while the dog did a sniff around the exterior of the vehicle,” Royce said in the statement. The trooper advised Chavez and Mendoza of the dog’s alert and requested they exit the vehicle, the statement said. Instead of complying, the driver rolled up the window pulled onto the interstate, with the trooper close behind. The pursuit continued north while reaching speeds of more than 115 mph as spike strips were deployed near mile post 103, which flattened one of the suspect vehicle’s tires. Meanwhile, a second deployment of spike strips set near mile post 110 flattened another two tires on the car, which continued heading north on one good tire. Approaching mile post 118, the fleeing car came up behind slower-moving semitractor-trailers, which forced Chavez to slow the car to 45 mph. The reduced speed provided the trooper an opportunity to perform a Pursuit Intervention Technique, a tactic by which a pursuing car can force a fleeing car to abruptly turn sideways, causing the driver to lose control and stop. Both suspects were taken into custody without further incident while officers searched vehicle. Inside the trunk, they discovered a safe containing approximately 10 pounds of methamphetamine. The suspects were later transported and booked into the Iron County Jail. 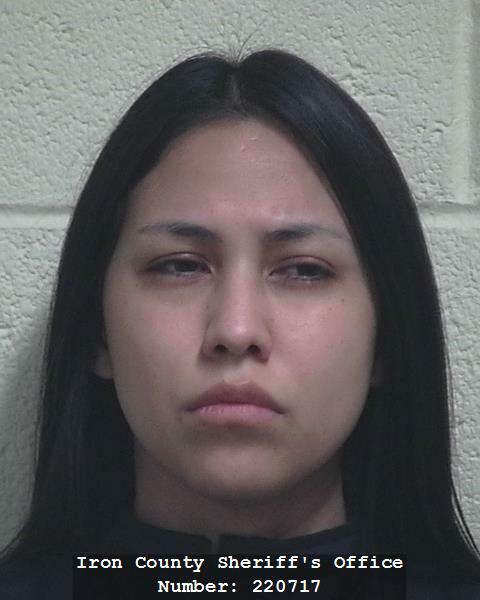 Chavez faces one first-degree felony count of drug distribution, one third-degree felony count for failing to stop at an officer’s command, and a class B misdemeanor for reckless driving. Mendoza faces one third-degree felony count of failing to stop at an officer’s command. “No one was injured and the suspects were arrested – it was perfect,” Royce told St. George News Friday. UHP troopers were assisted by the Beaver County Sheriff’s Office and the Cedar City Police Department. Excellent job officers and K-9!